Photoshop is a program that an greatly enhance the images. Photos or home video can be manipulated with photoshop to looking sound a certain way. Image background s and graphics can be changed in using photoshop from your home. You don't have to be computer sanly to use photoshop. You can use it by just procticing with it or buy a book or a tutorials. Adobe Photoshop or simply photoshop is a graphics editing program developed and published by Adobe Systems. It is a computer pixel drawing programthat is used manily to created images that have complextexture & shadind such as photographs and paintings. Mostly all the posters, book's covers, magazines and broches has been created or edited by photoshop. Photoshop is better for retouch, manipulation, digital paintings and photorealistic illustrations etc. Reasons :- Why photoshop is best for Designing. It keeps the same interfacedesignintroduced in previous version. The application shows a manipulist design with tittes reduced to more lines, nested tools, windows and a tabbled working area that makes working with multiple fules at the same time a lot easier. There is no problem in switching to the latest version, if you have already worked with the previous Adobe Photoshop versions. 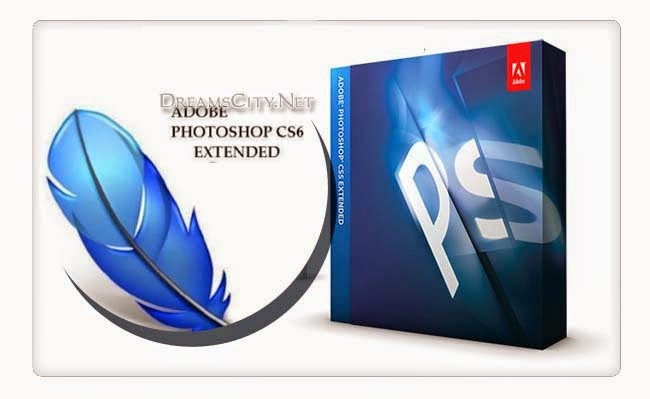 The latest version of Photoshop CS5, is an extrasrdinary set of completely new tools developed to improve the way of workingwith images and create more attractive professional - looking pieces of arts. The Photoshop CS5 has new features, The content - aware healing brushes, which used to improve and remove any object or detail from an image while magicallyfilling in the space left behind. The small selection tool is used to select difficult elements like hair or tree leaves will be much eaiser. The so called wet brushed, behave like a real brushes in tree of paint mixes and the fun puppet wrap selected elements in an images. The interface in Adobe Photoshop is highly flexible, you can customise the the menus, brushes, patterns, tools and almost everything in photoshop. Adobe Photoshop's shortcuts same lots of time and mouse clints. Others :- Adobe photoshop is definetely an application for professional and as such, has quite a steep learning curve. · It requires practice. The more for practice with all the tools, fallers and effects included in photoshop, the result you active. · There is a huge quantity of resources tutorials and manuals all over the interest. · Photoshop is easy to learn to learner. If you have the basic knowlwdge about the computers you might be able to take an online tutorials on photoshop. · When it comes to graphic design, Adobe's photoshop is usually the first option to consider. However this software itself is a quite tough nut to crack- and definately extremely hard to master. · For instance the concept are not always intuitire and its not always clear when to use what tools and how to use it effectively in fact, in photoshop it usually takes prettymuch time to achieve something you have neverdone before. According to Experts's reviews, Adobe photoshop Elementss is the best photos-editing software for enthusiastes. There's plenty of power to handly all but the most sophisticated image editing tasks and its tools are easier to use than most of tricks includes features such as for resizing parts of images as well as photomarge, which blends overexposed and under exposed photos to create a more natural final version. Photoshop elements is compatible with Mac's Computers and windows. Adobe Photoshop is definately an application for professional and as such, Finally Adobe Photoshop is a powerful application that can get quite heavy solution documents with nultiple layers. d. Esay to learn but require more practicee to be master.